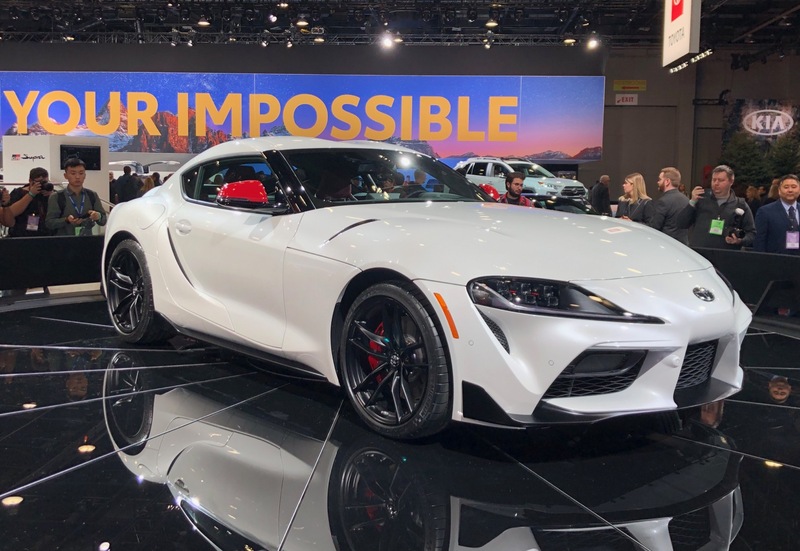 It’s been 21 years since the last Supra was built and now it’s back! 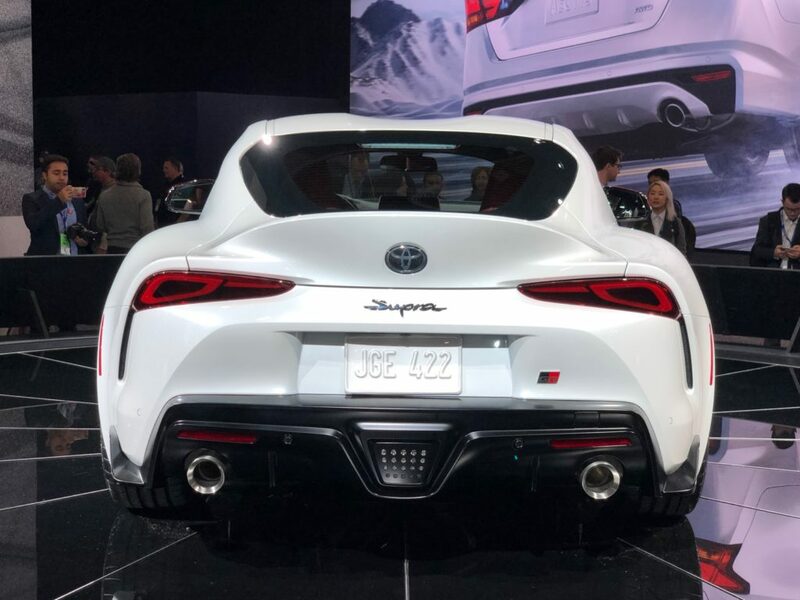 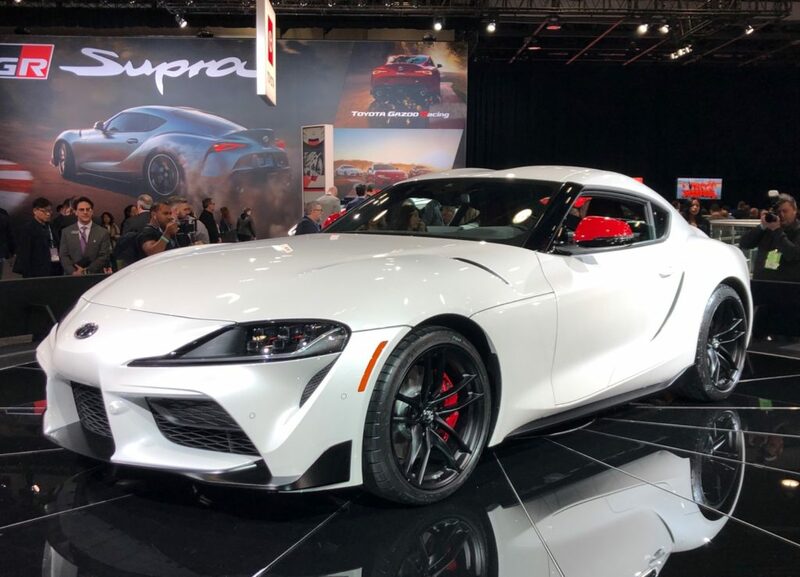 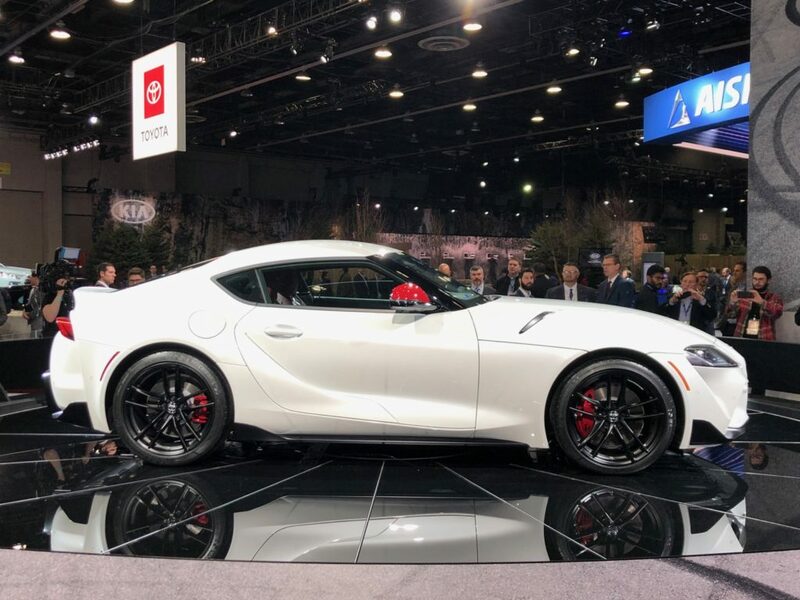 Toyota has officially unveiled the 2020 Toyota Supra today at the 2019 Detroit Auto Show. 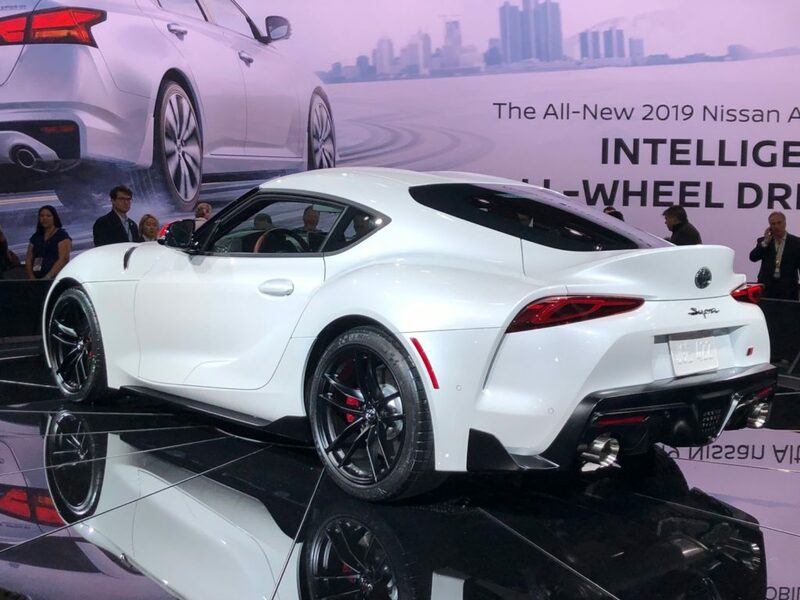 The 2020 Supra is easily one of the most anticipated debuts this year in Detroit. 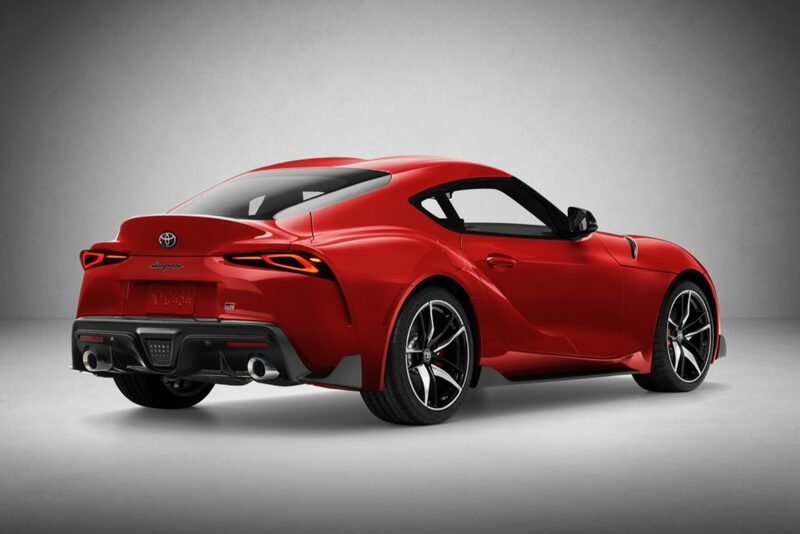 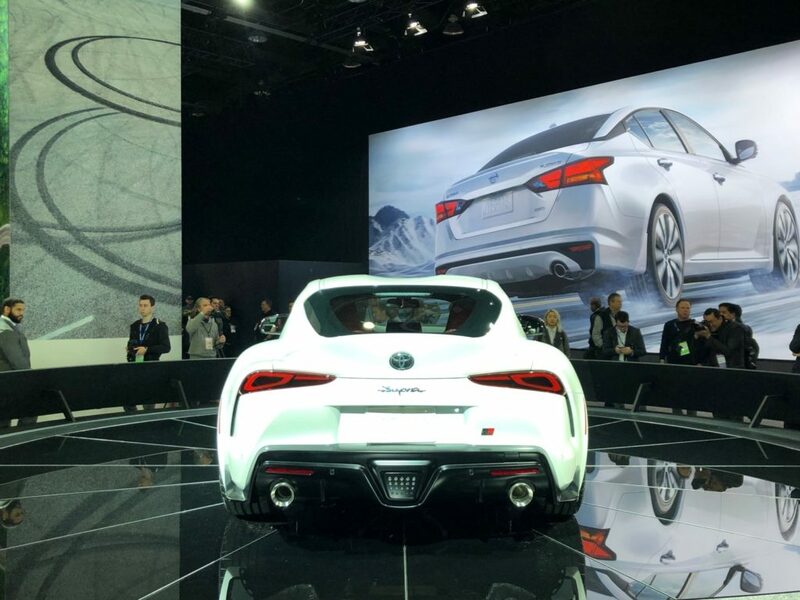 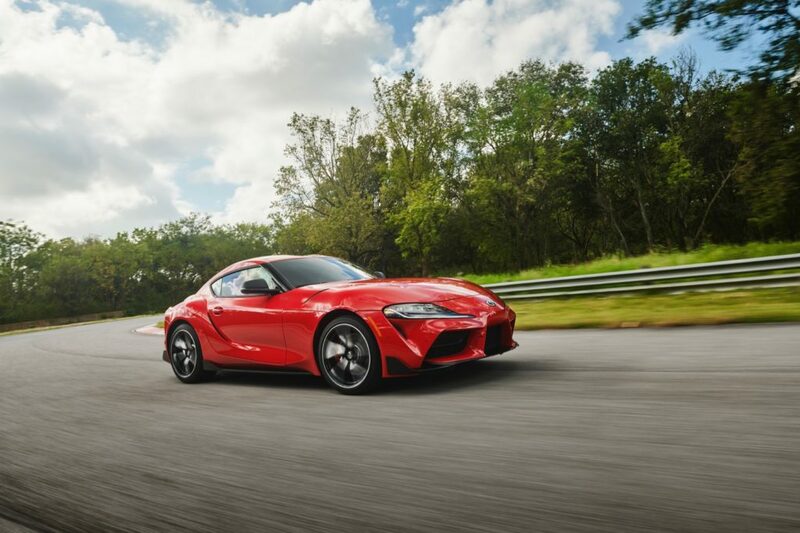 The fifth-generation Supra is heavily inspired by the FT-1 concept that debut five years ago, but Toyota also says that it takes design cues from the fourth-generation Supra and the 1967 Toyota 2000 GT. 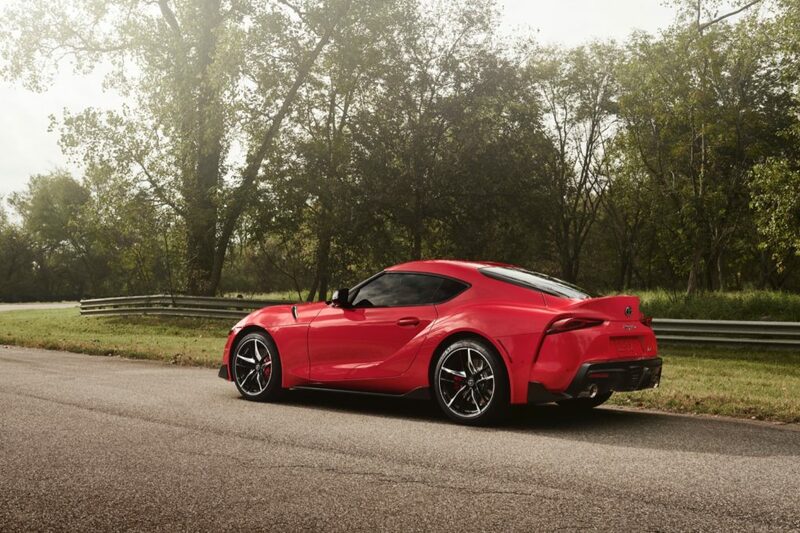 Toyota calls the design of the 2020 Supra “Condensed Extreme.” with its long hood and wide stance. 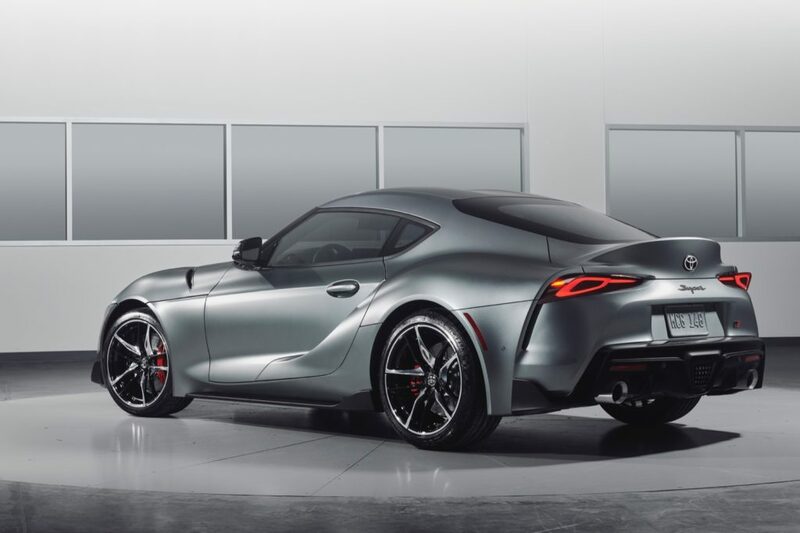 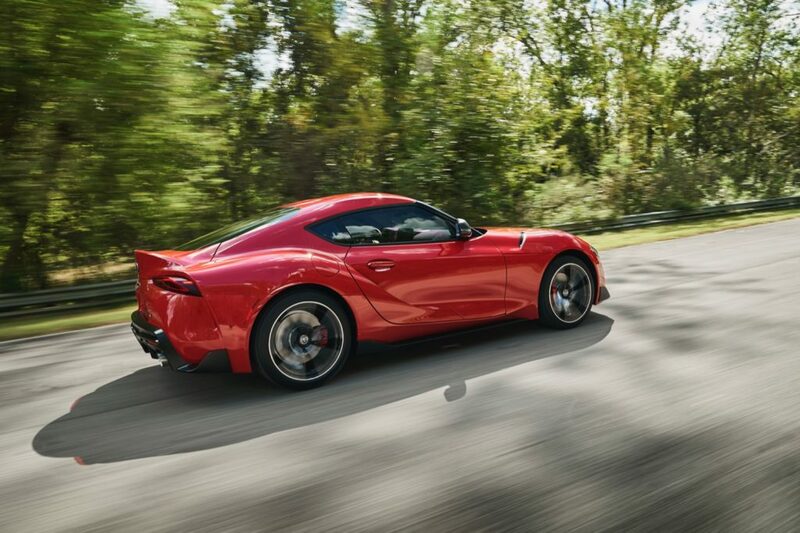 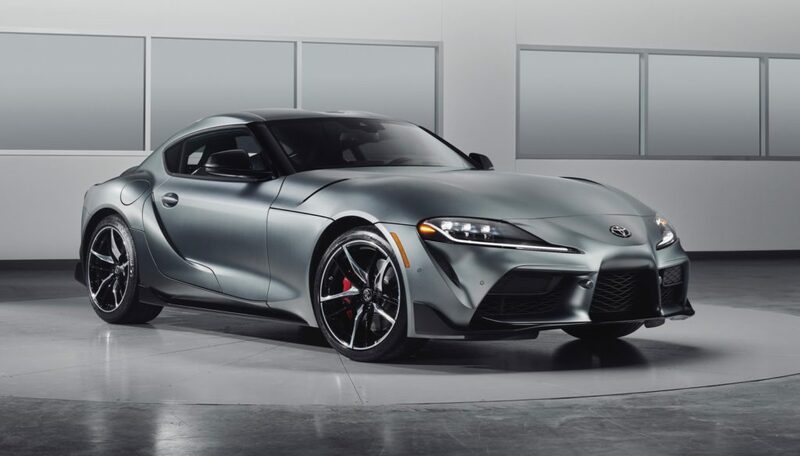 55 mph.Under that long hood, the 2020 Supra is powered by a BMW sourced 3.0L inline six-cylinder engine that generates 335 horsepower and 365 lb-ft of torque. 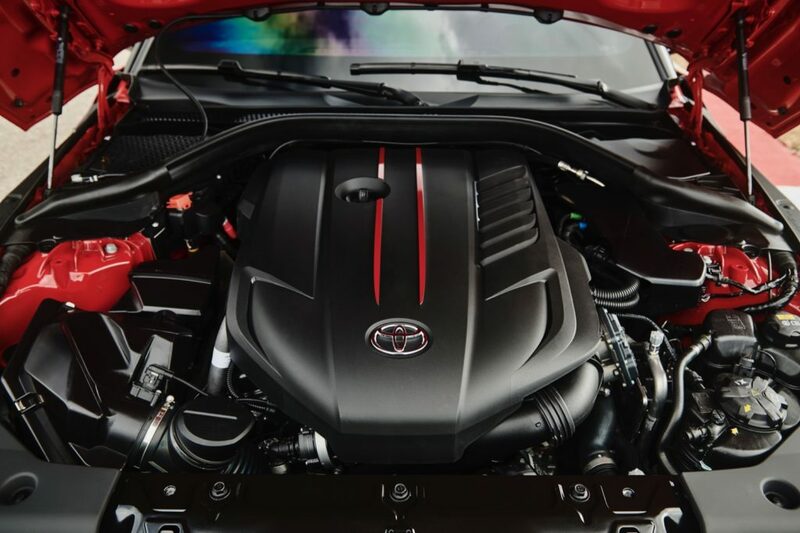 The six-cylinder engine is mated to an eight-speed automatic transmission. 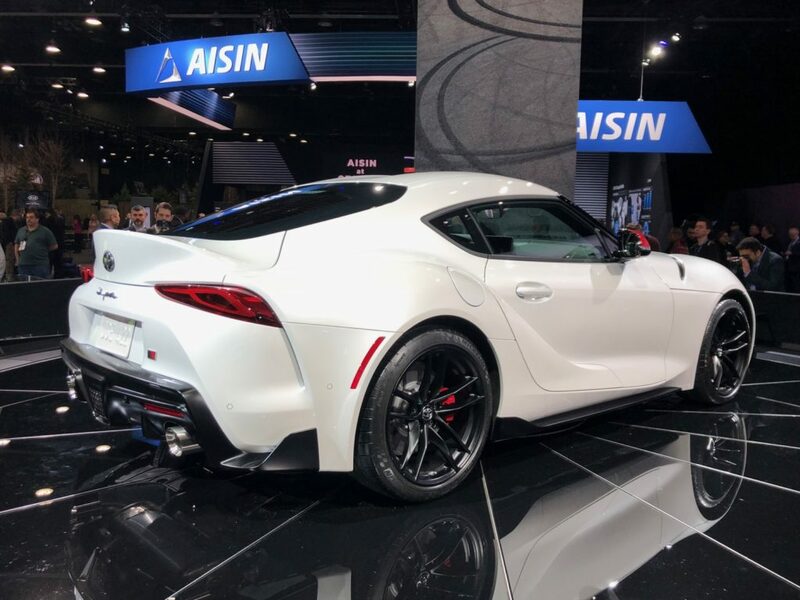 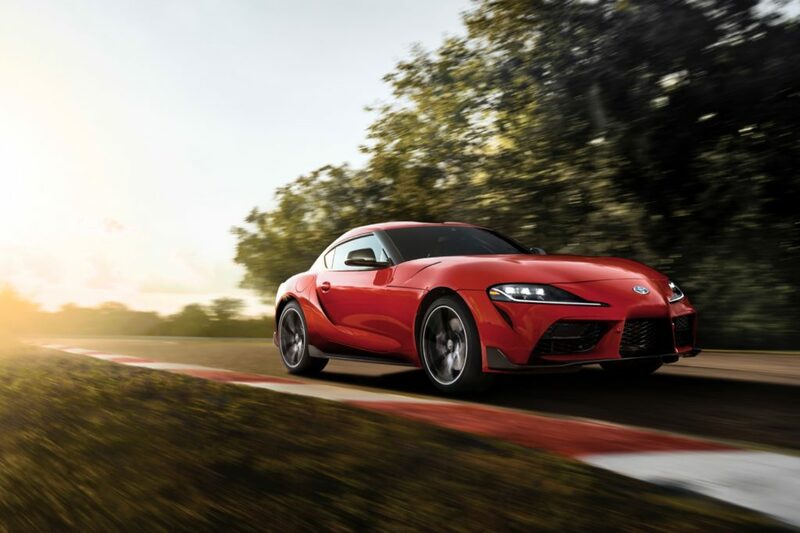 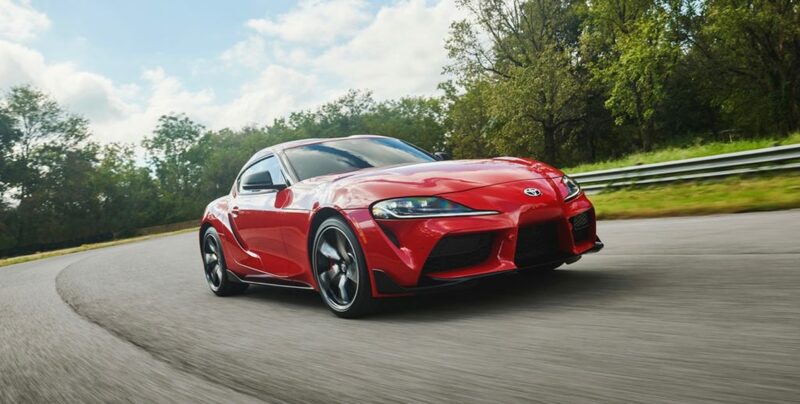 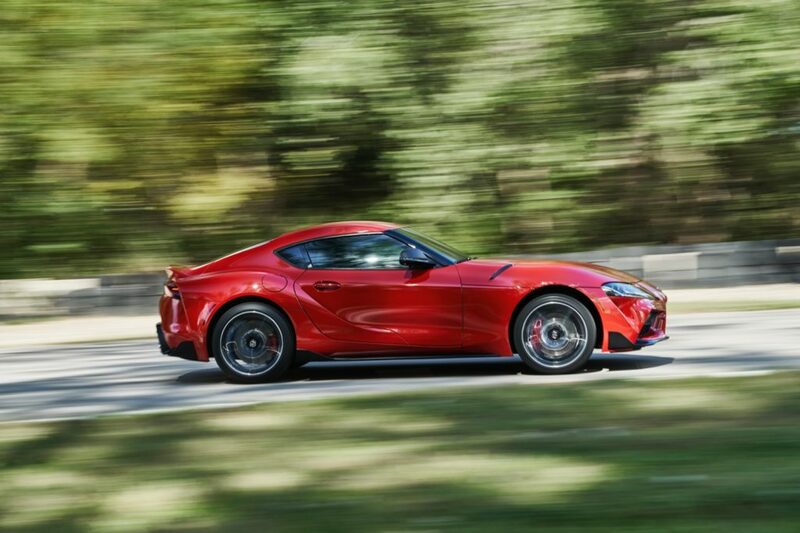 The 2020 Supra can reach 60 mph in 4.1 seconds and has a top speed of 155 mph. 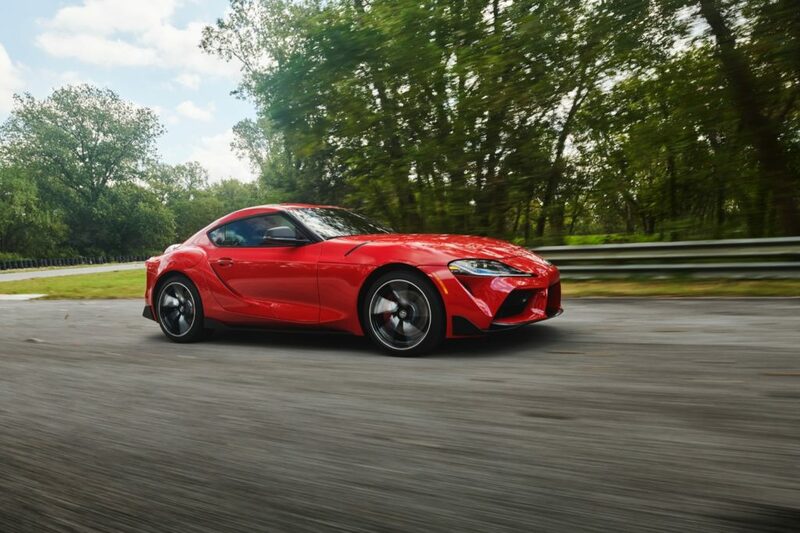 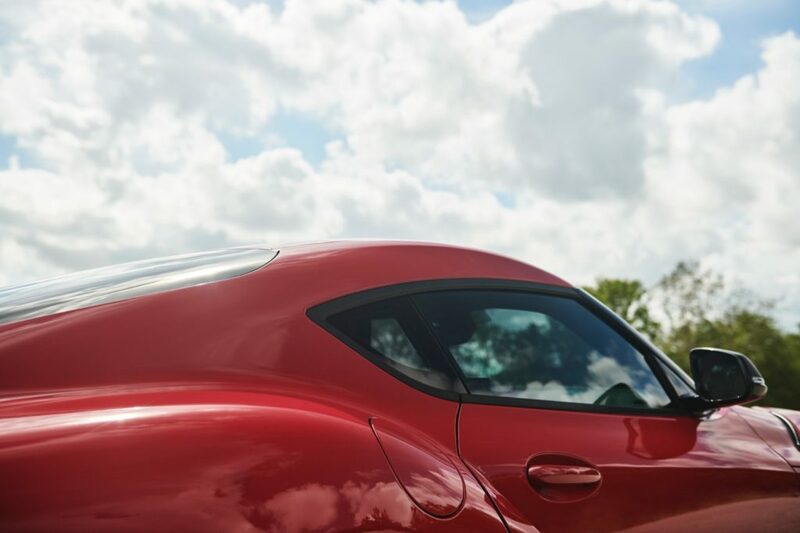 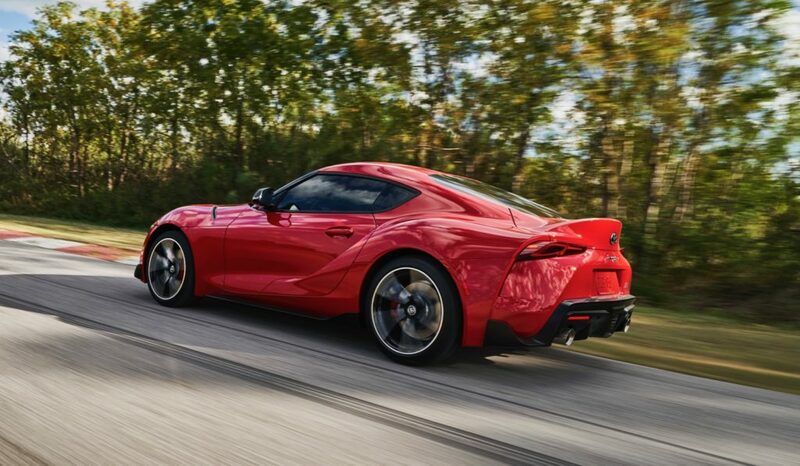 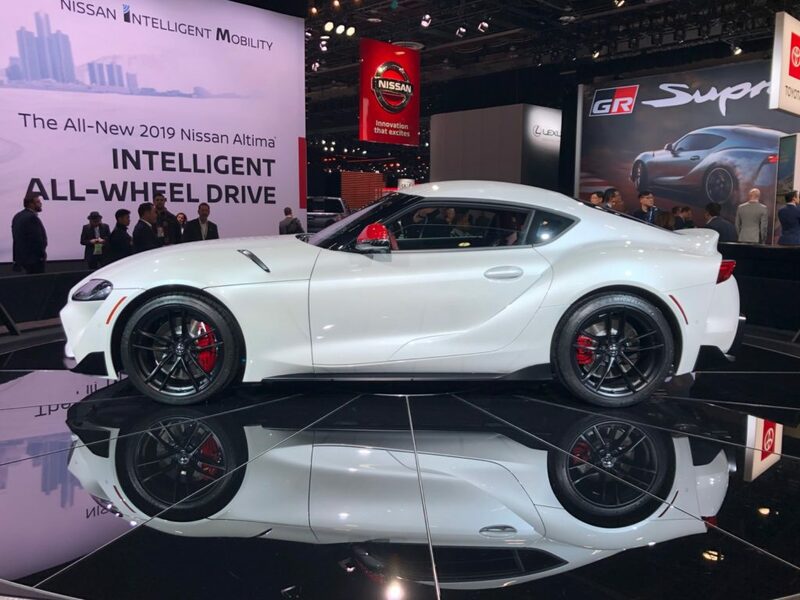 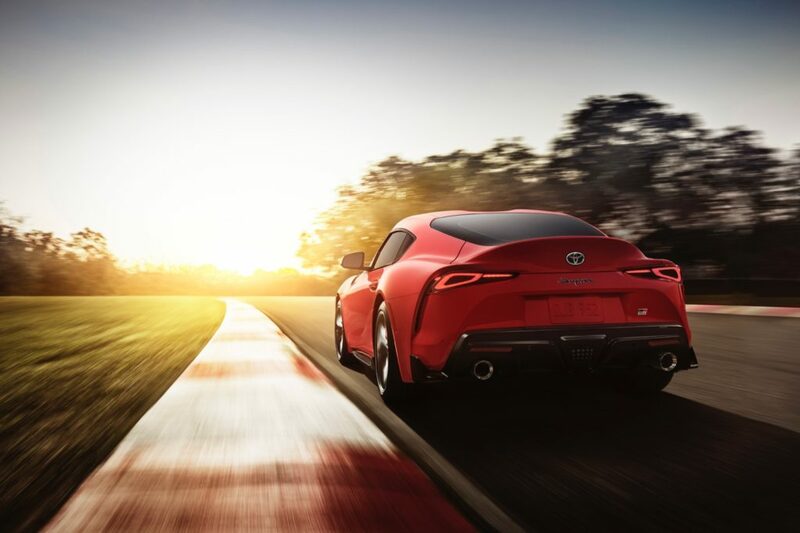 To help send the power to the ground, the Supra gets an active differential that uses an electric motor and multi-plate clutches to control lateral torque. 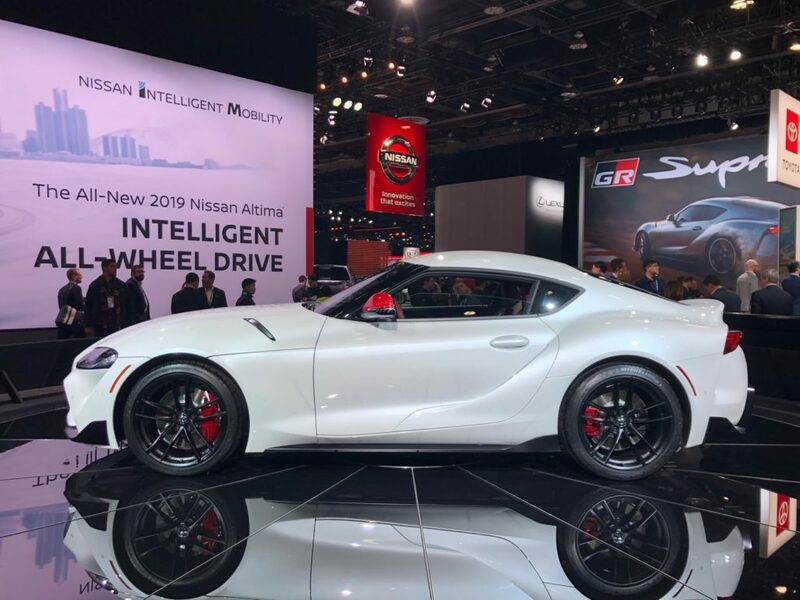 The active differential precisely controls torque distribution between the rear wheels, with stepless variable locking from 0-100 percent. 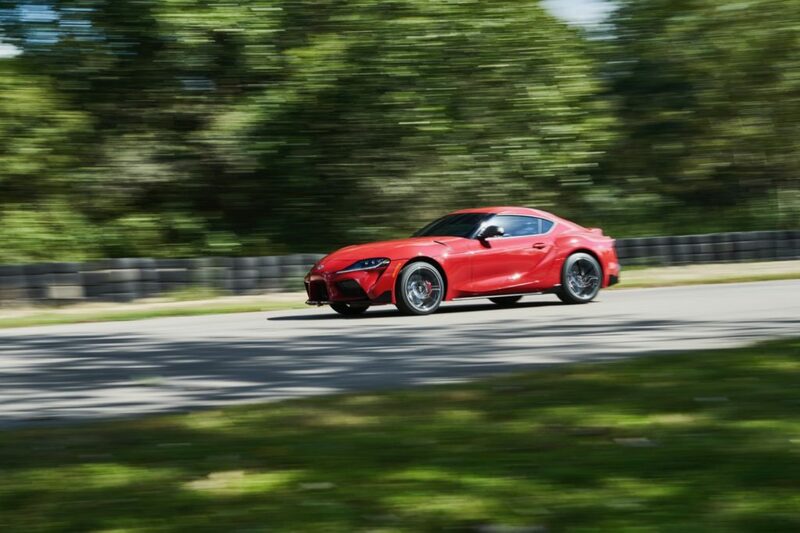 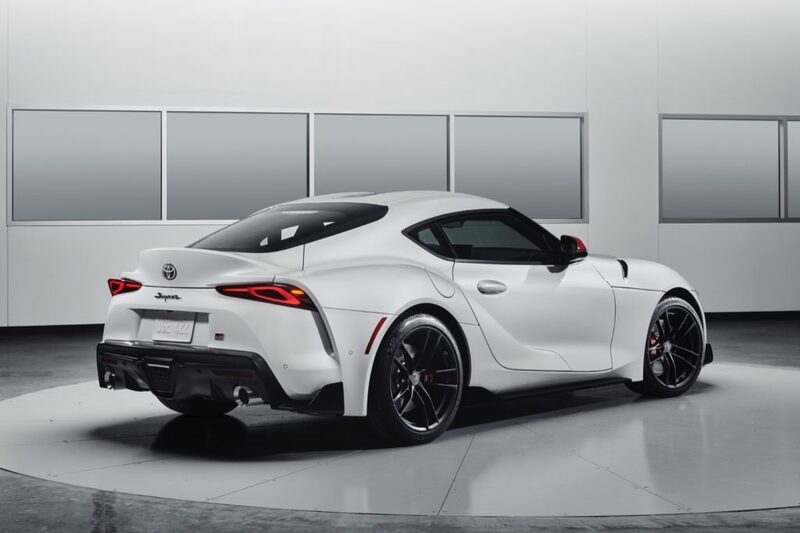 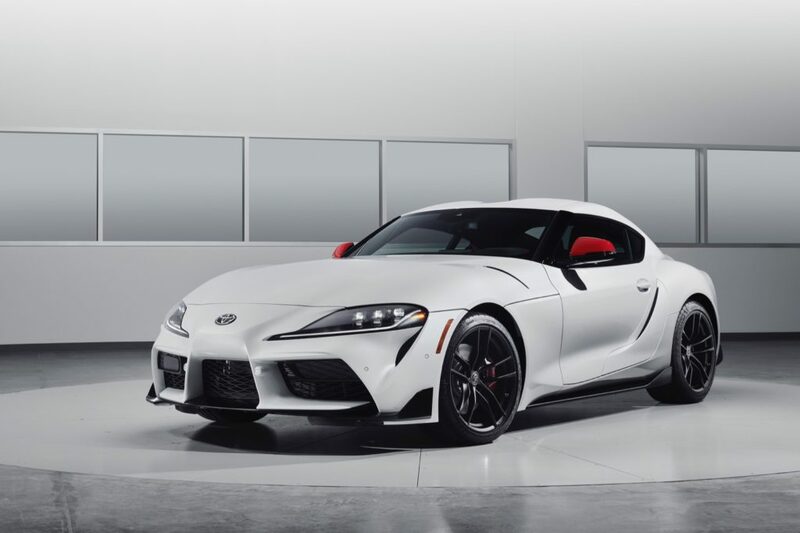 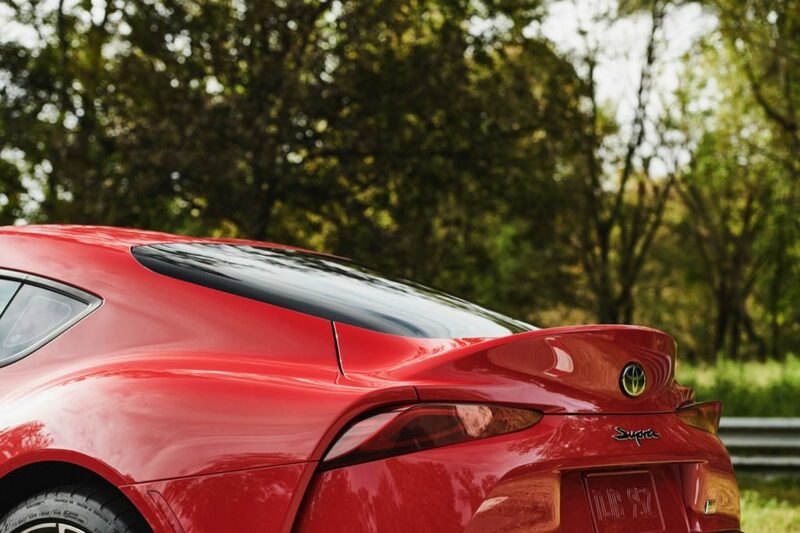 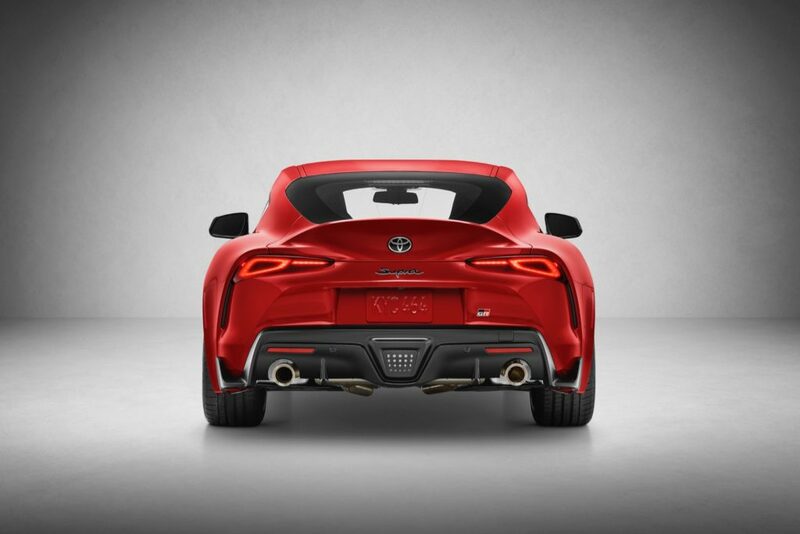 When the 2020 Supra arrives this summer it will be available in three trim levels: 3.0 and 3.0 Premium, as well as a Launch Edition. The 2020 Supra will start at $50,920 including the destination fees. 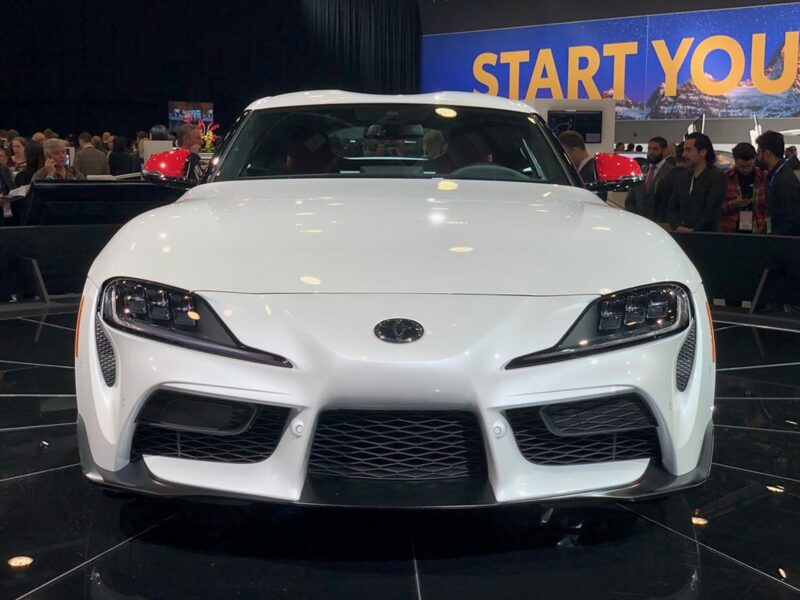 The 3.0 Premium model starts at $54,920 and the Launch Edition is priced at $56,180. 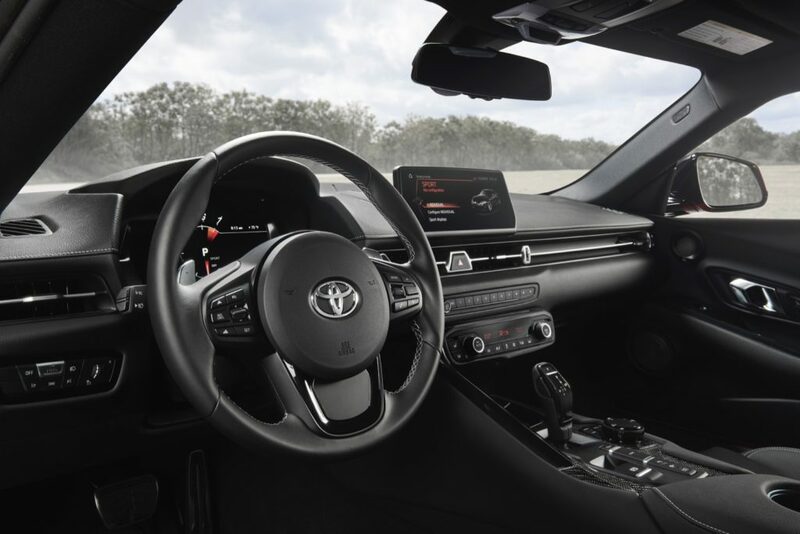 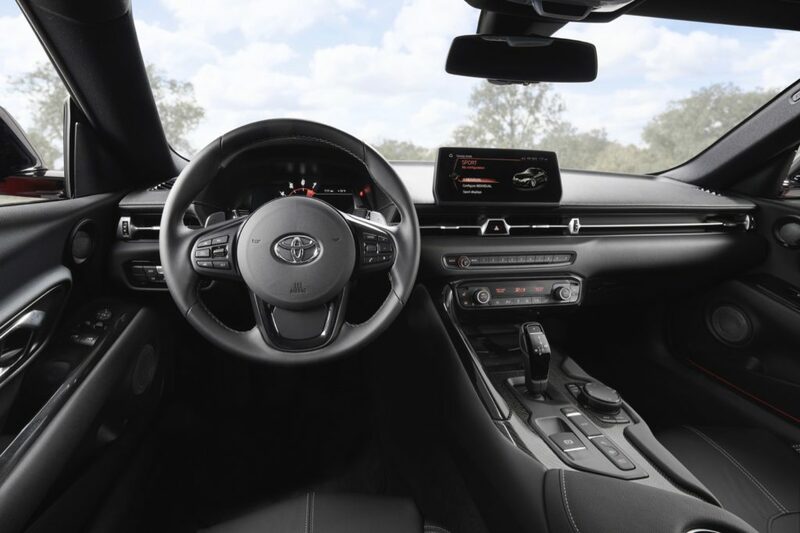 There are two options, the Driver Assistance Package, which lists for $1,195 and the Navigation and JBL Audio for the base 3.0 model that costs $2,460.